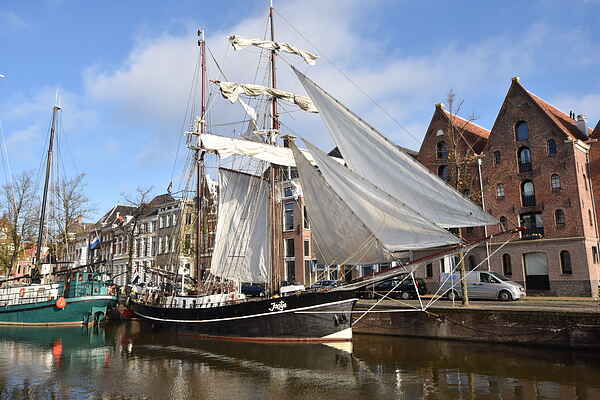 In every harbour 'Jantje' catches the attention immediately, with its intricate rigging and square sails. The ship has a dominant appearance and dates back to the year 1930, when she brought many a cod back home. Now the ship is for rent for a vacation in an authentic environment. During your stay the ship is moored off in the harbour of Groningen. The crew also speaks english. During your stay on board the captain/owner of the ship will probably also be on board. He/She will however stay in another part of the ship than you and your guests.